The young postman’s days are numbered. Estranged from his family and living alone with only his cat, Cabbage, to keep him company, he was unprepared for the doctor’s diagnosis that he has only months to live. But before he can tackle his bucket list, the devil shows up to make him an offer: In exchange for making one thing in the world disappear, the postman will be granted one extra day of life. And so begins a very strange week that brings the young postman and his beloved cat to the brink of existence. With each object that disappears, the postman reflects on the life he’s lived, his joys and regrets, and the people he’s loved and lost. 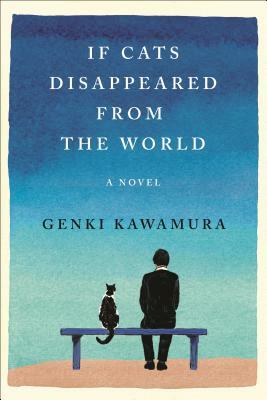 This timeless tale from Genki Kawamura (producer of the Japanese blockbuster animated movie Your Name) is a moving story of loss and reconciliation, and of one man’s journey to discover what really matters most in life.